The relationships between O.T.O., M:.M:.M:., and E.G.C. have undergone a number of twists and turns over the years, and can be confusing. I’ve received a lot of questions on this topic, even from relatively senior members, so here’s a summary. Ordo Templi Orientis was originally established around the turn of the century as an Order that would unify a variety of pre-existing Masonic and esoteric organizations. The degrees of O.T.O. proper have always consisted of the “Inner Circle” degrees, VII° and above. The degrees below VII° were originally Masonic in nature, and were subject to considerable variation depending on the local jurisdiction. Crowley’s British section of O.T.O. was called Mysteria Mystica Maxima, or M:.M:.M:.. Crowley’s jurisdiction as X° extended over all the degrees up to and including VII°. For use within M:.M:.M:., Crowley prepared his own, non-Masonic, rituals for these degrees. When Crowley later assumed the duties of O.H.O., his M:.M:.M:. degrees became the international standard. So, today, M:.M:.M:. no longer refers to a specific national section of the Order, but to the current system of degrees from Minerval through Seventh. The Seventh Degree is both the crown of the M:.M:.M:. and the beginning of O.T.O. 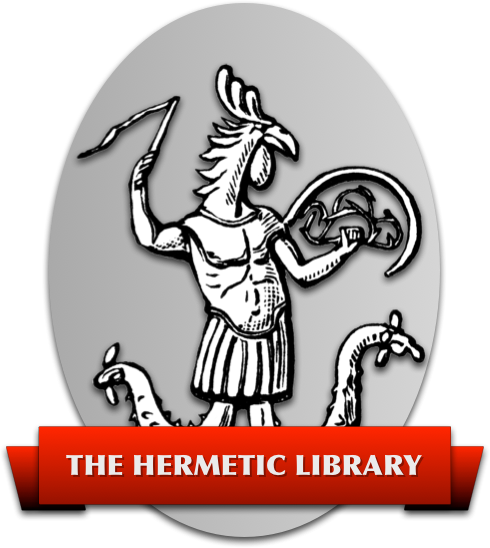 proper (which is also known internally as the Fraternitas Lucis Hermeticae). In the U.S., it is these M:.M:.M:. degrees that are currently under the administrative jurisdiction of U.S. Grand Lodge; the degrees beyond VII° are administered by International headquarters (as is Associate Membership, by the way). The name O.T.O. refers not only to the “Inner Circle” degrees of VII° and above, but also to the overall system which includes both M:.M:.M:. and E.G.C. Ecclesia Gnostica Catholica, E.G.C., or the Gnostic Catholic Church, was one of the pre-existing non-Masonic organizations that Reuss incorporated into the O.T.O. scheme. Originally, it was a spin-off of a French esoteric Christian/Gnostic church, but it began its reorientation towards Thelema when Crowley wrote Liber XV, the Gnostic Mass, for it in 1913. Reuss, then Patriarch of the E.G.C., published a variant (but still decidedly Thelemic) version of Crowley’s Gnostic Mass under E.G.C. auspices in 1917. Crowley, as O.H.O., conceptually integrated E.G.C. and O.T.O. by declaring that Liber XV, the Mass of the Gnostic Catholic Church, was also the central ceremony of O.T.O. This is why such pains have been taken in recent years to integrate the administrative structures of E.G.C. and O.T.O. However, E.G.C. has developed in its own right as a church by the inclusion of a selection of auxiliary rituals mentioned at the end of Liber XV, including rituals for baptism, confirmation, ordination, weddings, etc. Despite his references to them, Crowley never actually got around to composing these rituals, so they have been developed (based on Crowley’s notes, where possible) during recent years. The E.G.C. is also O.T.O.’s principal interface with the public, as most newcomers first meet the Order face-to-face at a Gnostic Mass, and may even join the E.G.C. as lay members before taking the first of the M:.M:.M:. initiations. At this time, E.G.C. can be defined as that part of O.T.O. that administers the Gnostic Mass and its associated rituals, and M:.M:.M:. can be defined as that part of O.T.O. that administers the degrees of the Man of Earth and Lover Triads. Whereas the degrees of M:.M:.M:. are private to the initiates of those degrees, the rites of E.G.C. are of a more general and public nature. However, each system informs the other – the Gnostic Mass will illuminate the special studies of the Initiate of every degree of M:.M:.M:. and O.T.O., from Minerval to X°; but the Initiate of the Fifth Degree will have a very different perspective on the Gnostic Mass than will the Minerval; the Initiate of the Sixth Degree will have her own unique, initiated insights on the Mass, and so on. From a strictly E.G.C. perspective, the M:.M:.M:. degrees can be seen to function as a staged course of instruction for the ceremonial and administrative officers of the E.G.C.